Earlier this week it was reported that the Department of Finance had written to Rod Culleton to let him know he’ll have to repay his salary and his staff’s salary, plus superannuation and travel expenses for the time he was in the Senate. This is likely to add up to hundreds of thousands of dollars. Special Minister of State Scott Ryan has stated that there is a process that people can go through to apply for debts to the Commonwealth to be waived. I am in the process of compiling a submission which will go to the Privy Council in London as this matter is now out of control and because I have no faith in the government or Governor-General who are refusing to act. Just to remind you, Rod Culleton was disqualified from the Senate in two different ways. In the end he was incapable of being chosen as a Senator because he had been convicted and was awaiting sentence for a crime that was punishable of one year or longer (section 44ii). Plus during the period that the High Court sitting as the Court of Dispute Returns was considering the case, Rod Culleton was declared bankrupt by the Supreme Court in Western Australia. This made him incapable of sitting in the Senate under section 44iii of the Constitution. In 1986 the Australia Act was introduced in all of the States, the Federal Parliament and in UK Parliament. The Australian States and the Commonwealth confirmed their sovereign, independent status from Britain. All Privy Council appeals ended from Australian courts other than the High Court, where it remains theoretically possible for some appeals to be taken under Section 74 of the Constitution. However, in order for this to happen the High Court would need to provide a certificate. 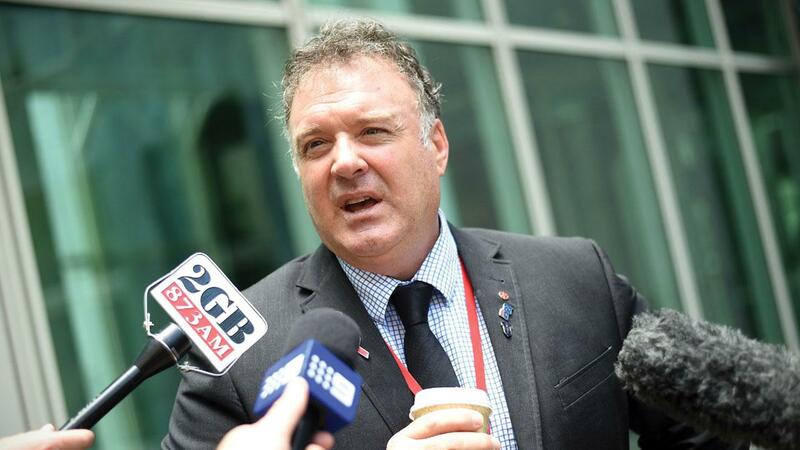 Could the High Court grant a certificate for Rod Culleton? The High Court in this case was sitting as the Court of Disputed Returns and certificates are theoretically possible for section 74 inter se cases. This means it has to be a case that involves a dispute between the federal Government and one or more of the States. Rod Culleton being disqualified from the Senate was not an inter se matter. On top of the legislation created in 1968, 1975 and 1986, plus a pledge from the High Court that they will not write certificates for Privy Council appeals, there isn’t an option for appeal to the Privy Council, because the Court was sitting as the Court of Disputed Return. ‘Until the Parliament otherwise provides’ is found throughout the Constitution and means that until the Parliament makes legislation for how the process is to be conducted the procedure is set out in the Constitution. The Parliament did otherwise provide by delegating the High Court as the Court of Disputed Returns. The Commonwealth Electoral Act outlines that the High Court shall be the Court of Disputed Returns. The Court has the authority to act as the Court of Disputed Returns if a petition is brought to it by electors or unsuccessful candidates. Cases can be heard by just one judge and they can be referred to the federal court. Since 1907, the High Court sitting as the Court of Disputed Returns has also had jurisdiction to hear, on a reference by one of the Houses of Parliament, matters respecting the qualifications of any Senator or Member of the House of Representatives. The Houses of Parliament retain a concurrent jurisdiction to determine disputes relating to the election, return and qualifications of their members (In re Wood). In contrast to the frequency with which electoral petitions are brought, the reference jurisdiction of the Court has only been exercised twice: in In re Webster (1975) and In re Wood. The Opposition called for a third reference in June 1999, when it was revealed that the parliamentary secretary to the Minister for Industry, Warren Entsch, had an interest in a company that had won a lucrative contract to supply concrete for a RAAF base in far north Queensland. The reference was not forthcoming, because the House of Representatives passed a resolution declaring that Entsch's interest did not count to a pecuniary interest in an agreement with the Commonwealth Public Service, and therefore did not violate section 44(v) of the Constitution. This highlights the dependence of the Court's reference jurisdiction on the existence of political will to refer such questions to the Court. So the Houses of Parliament can decide whether an MP or Senator should be disqualified or not, or they can refer it to the Court of Disputed Returns. It has been suggested that both the Bob Day and Rod Culleton cases were unusual and appropriate to be referred to the Court of Disputed Returns. Privy Council appeals are theoretically possible in cases resolved by the High Court between the Federal Government and one or more of the States. Although the High Court has pledged that they will not issue a certificate to the Privy Council again. Rod Culleton’s removal from Senate was a decision of the Court of Disputed Returns, which has been set up through the Electoral Act. There is no option for appeal, either to the High Court or the Privy Council. Do you think Mr Culleton should have to pay back all this money? He did tick a box on his election nomination form saying that he was eligible to be chosen to sit in the Senate. If someone makes a claim they know to be incorrect on the nomination form, should they let off that easy.